Take a FREE Spin on the Fortune Falcon Wild Re-Spins Slot Machine. game play features. Developed by Australian developer Ainsworth, the slot game requires you to trek through the hot Arabian desert, trying your luck with the Wild Symbols and expecting to get the Wild Respins for boosting your payouts big time. Take a free spin below of this great pokies game. The Fortune Falcon Wild Re-spins features 5 different reels and 30 fixed paylines. As you play the game online, your job is to try and match different symbols across these fixed paylines. If you have played the game at a physical casino, you’d know that the setting of reels and paylines is pretty much the same. As far as the symbols are concerned, nothing much has changed there either and you play the card symbols, exotic islands, treasure chests and just about everything else in pretty much the same way. There are a couple of wild symbols. The first one is falcon that appears on 3rd, 4th and 5th reels only and works as standard wild. The other one is golden egg that appears only on the 4th reel and, whenever there’s a hit, it fills up that entire reel and is collected into that meter right above. You can trigger wild re-spins every time you collect 3 eggs in the meter above the reels. And, when you go through the re-spins, the 3rd, 4th and the 5th reels will remain wild. What this means is that you are up for hitting big winning combos. The second bonus feature of the game, i.e. Free Games Feature, is triggered when Palace Symbol lands on middle 3 reels in same spin. 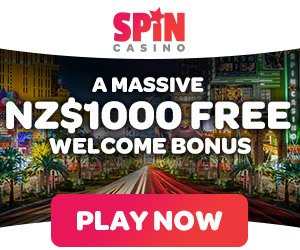 As a result, the player gets 10 spins for free. During these free spins, the falcon appears only on the 3rd reel. Besides, you should be looking out for wild coins that are added to 2nd and 4th reel. The reason is that if such a coin falls on winning line at 2nd reel, your payout gets doubled. The payout multiplier goes as high as 5x in case if wild coin falls on winning combination from 4th reel. The payout can go as high as 10x if you’re lucky enough to land the coins on 2nd and 4th reels because this will combine the multipliers. Furthermore, if you are able to land three palace scatters in this bonus feature of Fortune Falcon Wild Re-spins game, you’re entitled to 5 additional free spins as well. In addition, the Fortune Falcon Wild Re-spins offers a $1500 jackpot and comes with a coin range of 0.30 to 3,000. Overall, it’s an interesting online slot to play and offers reasonable opportunities to make real money online or just enjoy the free version at mate’s rates. Google + Profile: Tina Lim on January 27, 2018. on October 17, 2018.